Disney After Hours, a new premium ticketed event will take place this April and May at the Magic Kingdom. Available on April 14, 21, 28, and May 5, 8, 12, 19, the Disney After Hours event gives guests 3 hours in the park after regular closing - for a not-so-insignificant fee of $149 plus tax per person (with no reduced price for children). Unlike Extra Magic Hours, Disney After Hours is available to anyone, and does not require regular theme park admission. Extra Magic Hours for Walt Disney World Resort guests will continued to be offered. Like other Magic Kingdom ticketed events, entry to the park is available prior to the start of the event, with Disney After Hours allowing entry as early as 7pm. The Magic Kingdom closes to regular guests at 10pm or 11pm on Disney After Hours nights. Some of the most popular attractions will be operating, including Big Thunder Mountain Railroad, Princess Fairytale Hall, Town Square Theater, Peter Pan's Flight, Seven Dwarfs Mine Train and Space Mountain. Some character meet and greets will also be on offer. Ice Cream novelties and bottled beverages will also be included with the ticket. Disney has confirmed the dates for this year's Mickey’s Not So Scary Halloween Party at the Magic Kingdom. There are 29 party nights for 2016, up from 25 in 2015. Pricing and on-sale dates are not yet available, but Disney has moved to clarify the policy on costumes. "New this year, we have revised our costuming guidelines for special events in our theme parks. While costumed attire may be worn, guests ages 14 and older are strongly discouraged from wearing layered costumes or costume props that surround the entire body as they may be subject to additional security screening. Additionally, costumes may not contain any weapons that resemble or could easily be mistaken for an actual weapon." Disney had previously banned guests over 14 years of age from wearing costumes in the park following a security policy update in December 2015. Nick Wilde and Judy Hopps from Zootopia have been added to the Move it! Shake It! Dance and Play It! Street Party at the Magic Kingdom. The Zootopia duo are aboard the main MC float that stops in front of Cinderella Castle. Although they are appearing in the street party, they won't be appearing for meet and greets. For a limited time starting April 3 2016, Writer's Stop will open at 11:30am through to 1 hour before the close of the adjacent Sci-Fi Dine-In restaurant. Along with coffee and pastries, pretzels, charcuterie and a cheese plate will be on offer, along with alcoholic beverages. On the merchandise side, a new range of home and kitchen goods will be on sale. Blizzard Beach is continuing to experience technical difficulties, and will be closing for a three day refurbishment. The water park will be closed on April 3 to April 5. Although Disney has not announced what work will take place, the area around Summit Plummet and Slush Gusher has been experiencing difficulties over the last few years, requiring multiple days of closure. Typhoon Lagoon will be operating during those days from 10:00 AM to 5:00 PM. The work begins on April 11 through to April 22. The discounted rate for Club Villain at Disney's Hollywood Studios has now been extended in April and May. The discount is available for Annual Passhoolders and Disney Vacation Club Members, and lowers the regular $129 price to $99, including tax and gratuity. The special event at Disney's Hollywood Studios was originally priced at $99, but increased to $129 in February when dates were released for March and beyond. The Tomb Warriors exhibit at Epcot's China Pavilion will be closing for a refurbishment later this Spring. The closure begins on May 2 through to June 16. More dates have been added to the Afternoon Tea experience in the Crescent Solarium at Disney's Beach Club Resort. Along with a classic afternoon tea, there will also be savories, sweets, and alcoholic beverages on offer. Dates now include May 5 - 8, June 16-19, July 1-4 and September 1 - 5 2016. Service is available between 1:00 PM and 5:00 PM. 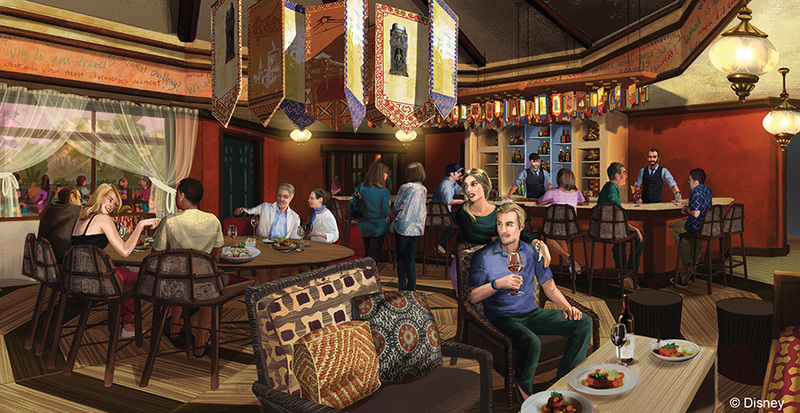 Reservations can be made at 407-WDW-DINE. Dates are now available for the 2016 Mickey's Very Merry Christmas Party nights at the Magic Kingdom. The special ticketed event will take place on 21 nights this year, the same as in 2015. Pricing and ticket on-sale dates are not yet available. Stitch is now appearing at the Magic Kingdom in Town Square. You can catch Stitch daily at the flagpole, where he replaces Marie.Disney's Animal Kingdom Lodge will soon be offering a new tour which promises a close-up experience with the animals. 'Sense of Africa' is a 3.5 hour experience that begins with breakfast at Boma. Taking place before the restaurant opens, some exclusive dishes will be on offer, along with the restaurant's regular breakfast buffet. 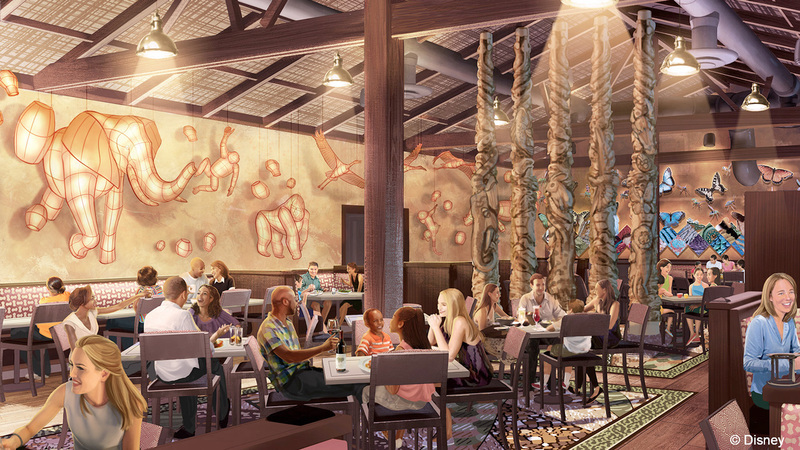 A cast member from Africa will share stories and explain some details of the restaurant. Next up is a ride on a safari truck to head backstage for some close-up animal encounters, which may include giraffe, ostrich and okapi. The tour costs $249.99 per person, with a minimum age of 10 years old (a 15% discount is available for Annual Passholders and DVC Members). The tour groups are small, with just 12 guests taking part, and the tour is available on Tuesdays and Saturdays. 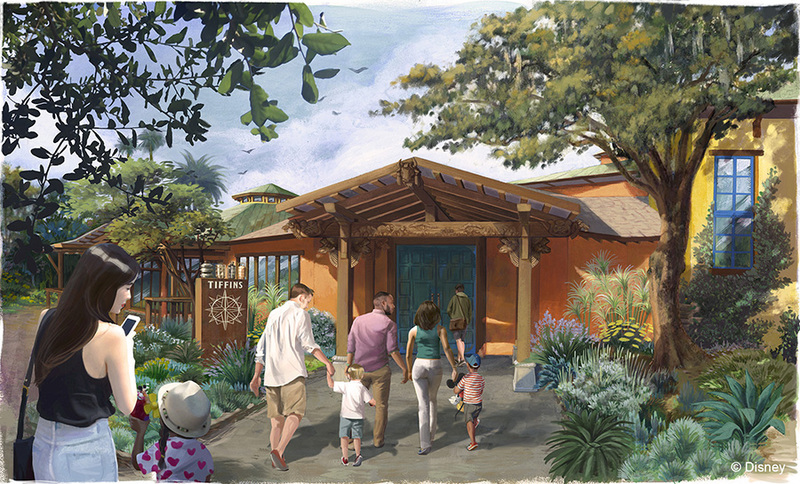 Disney has shared some new concept art and details for Tiffins, which opens this summer at Disney's Animal Kingdom. 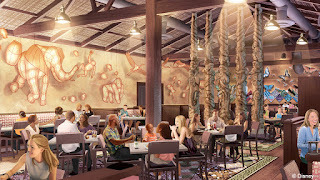 The 252 seat restaurant is located in Discovery Island, next-door to Pizzafari, and will serve both lunch and dinner in a signature restaurant setting. Epcot's Sounds Like Summer concert series begins on June 5 2016 with three new tribute acts for this year - Fleetwood Mac, Tina Turner and Bruce Springsteen. Included with regular park admission, the tribute artist concerts take place in the America Gardens Theatre, at 5:30pm, 6:45pm, and 8pm. Here is the full lineup for 2016.